The days of quick customer experience wins through digital and mobile innovation are gone and organisations must tackle the more complex task of overhauling their culture in order to find sustainable improvement. 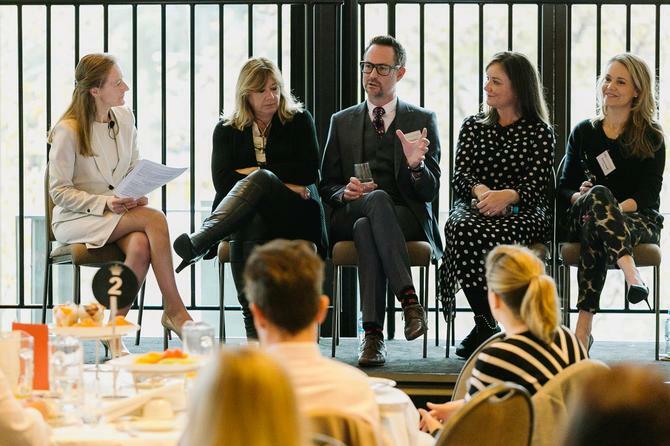 That was the consensus across panellists at CMO’s breakfast event, entitled ‘Creating more Intelligent Customer Customers’, held in Melbourne on 22 May. IAG executive GM of customer futures, Customer Labs division, Jill Baptist, said the emphasis of her team is on understanding how to cut through the noise and achieve that next level in customer engagement. “As pointed out by Forrester and alluded to by speakers today, CX has stalled. Everyone has addressed the low-hanging fruit – for example, launching mobile experiences and digital capability - and fixed the low-level irritants. Now it’s about how you move the whole organisation to understand what the real priorities are,” she told attendees. That’s quite a challenge when you have 7000 people, a collection of brands largely brought together through acquisition, and ongoing technology change projects, Baptist admitted. Reporting to IAG’s chief customer officer, Baptist works alongside the chief marketing, digital and data and analytics officers and oversees a team providing quantitative and qualitative research to understand how customers behave, as well as attitudes. Elements helping steer the ship include a big shift from demographics to behavioural attitudinal research, and voice-of-customer platform insights. National Australia Bank (NAB) head of customer experience initiatives and service recovery, Sarah Graham, reports to the group’s EGM for CX. Her team looks after customer experience measurement and systems, actionable insights, communities management and customer feedback. Over the last 3-4 years, NAB has grown a program focused on customers and like Baptist, Graham said the quick wins are now gone. These were both digital as well as the big things annoying customers and fixing them. “As we move forward, it’s around delivering on promises and continuing to make sure we getting the basics right. We still have more work to do there, but there’s a need for us to also step back and think about where we’re heading,” she said. Xero chief customer and people officer, Rachael Powell, directly reports to the accounting software company’s CEO and has joint employee and customer experience remit. She said Xero is taking an inside-out approach when it comes to culture and its CX approach. Xero has six clear strategic pillars it sees as vital to the next phase of growth. These include ‘believe’, about having a clear purpose and knowing how to achieve it; a sense of belonging; a sense of community; being your authentic self and leverage your strengths; and flourish, or creating an environment where individuals and teams can thrive. “Two of these pillars – great people and teams, and love and protect our customers – sit under me. And we have clear programs and measures underneath them to measure success against what our aspirations are,” Powell explained. “I’m a big believer in ambidextrous skills and not putting people into boxes, for example. Then it’s ensuring you know what energises individuals and crafting roles to ensure they’re using the best of their skills and experience, in order to add that value to the company. Vicinity Centres marketing director, David Henderson, heads up marketing and reports into the EGM of people, culture, digital, data and marketing. He cited three customers: Trade and retail partners, end consumers, and the business itself. It’s was only last year Vicinity Centres articulated its three-pillar approach under the ‘reimagine’ strategy and realised all are aligned to realising its brand promise of making it better and easier for consumers and retailers, Henderson said. That’s now the strategy informing how the group transforms business and continuously improves. What’s also important is giving staff permission to think and act differently. “The organisation was so entrenched culturally to the landlord model, we decided we just needed to give the business permission to think differently and empower them to look at things differently,” Henderson said. “We also recast our competitor set. We’re not just competing against Westfield or another shopping centre, but against where people choose to spend their time. On a hot day, that could be the beach, or on a cold day, you could be at a play centre or come to Chadstone. To help, Vicinity Centres conducted a significant consumer research project looking at not just socioeconomics but emotional triggers. “We went into their homes, got execs to follow them around and came up with seven consumer segments, which helped us understand triggers before they needed to shop, plus why they needed to or want shop,” he said. The historical landlord model, meanwhile, had left Vicinity in a highly transactional relationship with store operators. Poor tenant satisfaction results provided a burning platform for change. “So we had a carrot on the consumer side and a burning platform on the retailer side. Again, once we started digging into details of why, how, met with retailers, worked out what was important to then, how they were transforming and got into their shoes, it became a very different conversation and relationship,” Henderson added. It also comes down to the CX your organisation wants to deliver, Baptist said. “For example, with our main brand NRMA, it’s all around help, that’s what we stand for. So what does that mean for how we designs our employee experiences so that aligns? We want to make it easy, connected, personalised and all these things our customers expect from the brand,” she said. The problem is insurance companies tend to think of customers in terms of risk, depersonalising the relationship, Baptist said. The claims team, on the other hand, can quite often be engaged in sensitive conversations with customers and need to be caring and attentive people. But with disruption coming in at all angles, companies like IAG are getting the need to be more customer focused holistically. And it’s data that unlocks the opportunity. So IAG rethought its segmentation of customers. “We wanted to get away from thinking about customers as risks or premiums so we asked in terms of what they think about insurance, how much they’re willing to pay for it,” Baptist said. IAG conducted a needs-based analysis using Maslow’s Hierarchy of Needs, to ask how individuals are feeling about relationships, financial circumstances, jobs, market conditions and current versus future self. It then overlaid data on top. “It meant we didn’t have traditional socio-demographic information on who buys what product, which our marketers found very difficult to grapple with,” Baptist said. “So we went through a learning process around that, our brand values and brand architecture. We have a portfolio of brands, and different brands playing with the same customers in the same geographies.